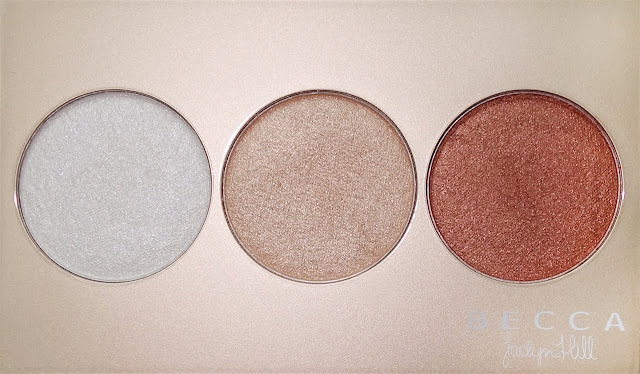 Becca came out with their 2015 holiday palettes, one of which featuring 3 of their Shimmering Skin Perfectors - Pearl, Champagne Pop, Blushed Copper. 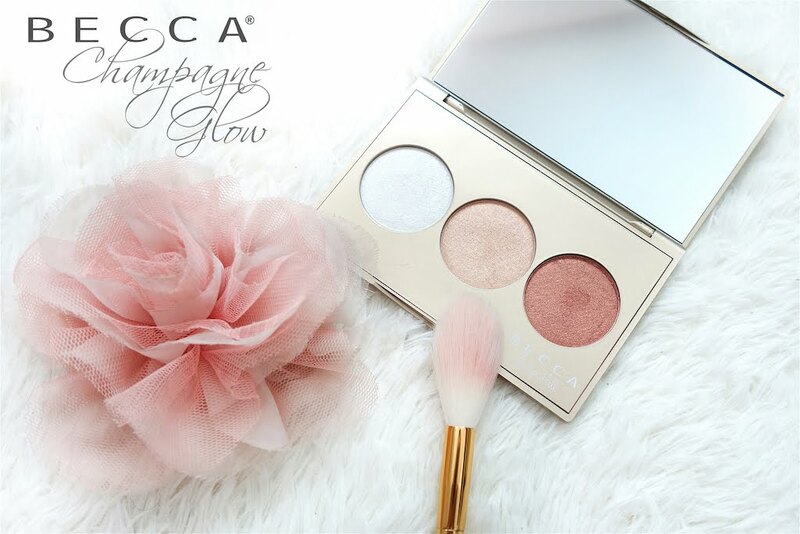 Inspired by Jaclyn's highlight, they named this Champagne Glow. The packaging of course, is also in a champagne gold. I took the plunge and got it. I already own quite a few highlighters and nobody actually finish up a whole pan of highlighter. 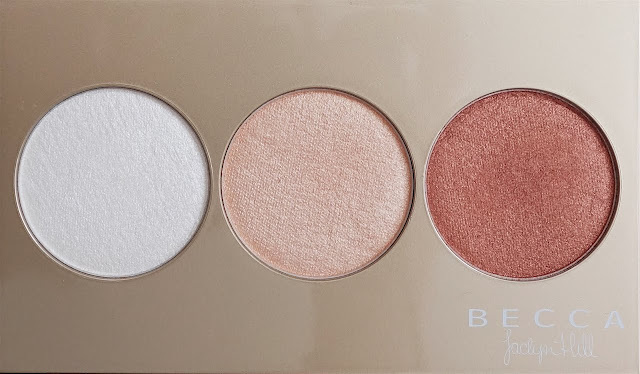 But sooo many raves have been surrounding their shimmering skin perfectors, so i decided to to just get their palette and try out a few shades at once. Pearl is a new shade that will be released soon, whereas Champagne Pop and Blushed Copper are both limited edition shades. So GRAB this before it's too late hahaha anyway I do have more close up swatches down the post under different lightings. 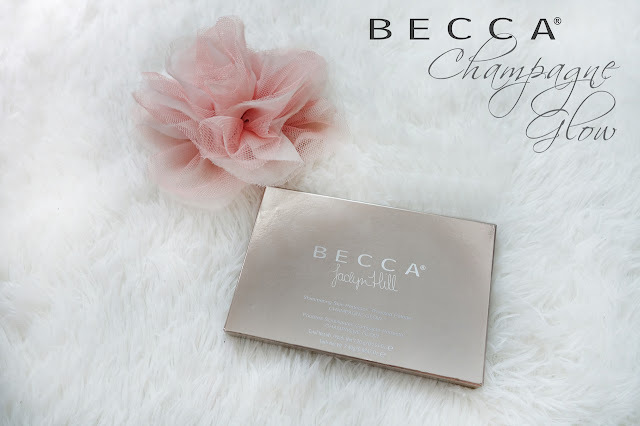 The palette came in a little note from Jaclyn. Ok, I couldn't help it and took many many pictures of this pretty palette before swatching it. It comes with a humongous mirror! I love big mirrors like this, and with the compact packaging, this is ideal for traveling, without having to pack a ton of highlighters for the trip. 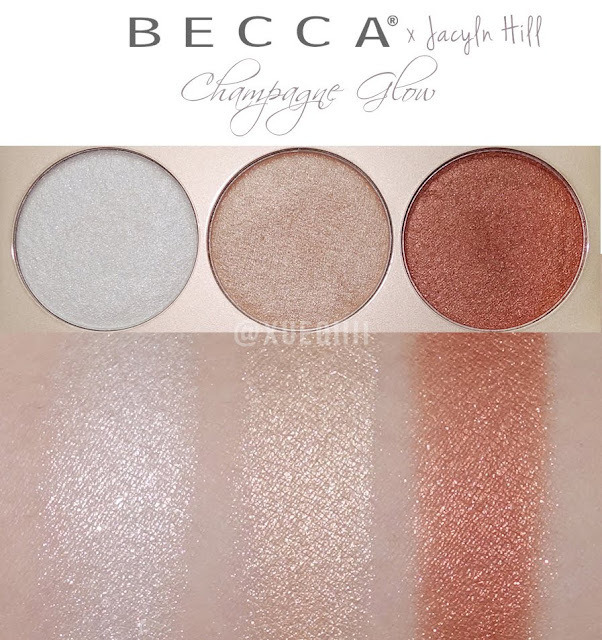 Becca highlighters are very very pigmented, so a little does go a long way. I recommend using a fluffy brush like this - Tarte Fluffy Blush Brush, to dust it on your cheekbones and where ever you want to - makeup has no rules. Here's a close up of the highlighters under natural day light and with flash. Pearl - Super pretty highlight for fair skin girls. Love this one. I do not have any highlighters that look quite like this one. 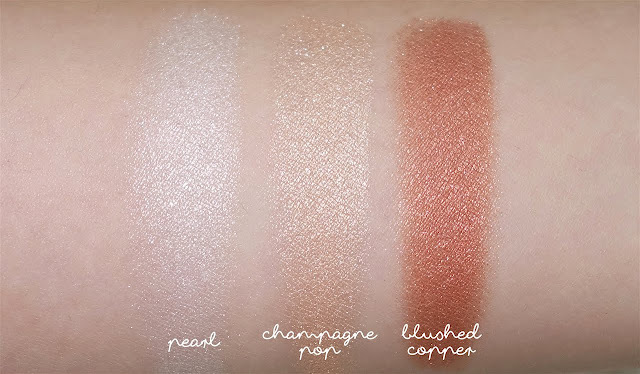 Try Moonstone if you can't get your hands on this palette. 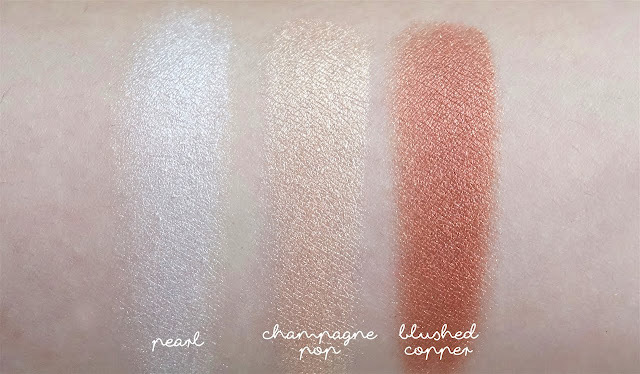 Champagne Pop - The perfect neutral highlight that suits so many different skin tones. I realise this mixed with Pearl, looks really very pretty too. 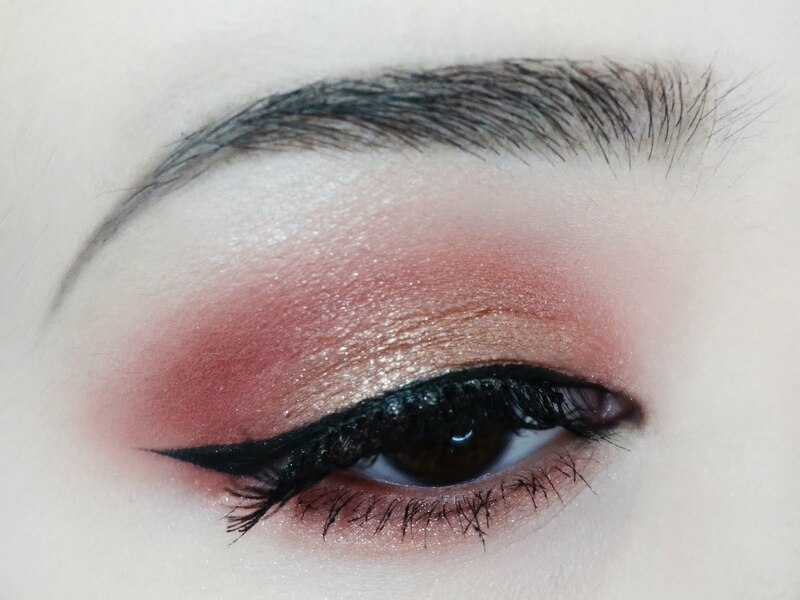 Blushed Copper - This is too dark for me as a highlight, so will be good as a blush topper or just mix this with your blush to create a luminous glow on da cheeks. Now, let's look at the swatches. First few taken under natural day light. I really like the gold brush in your pic? Where is it from?